In El Paso, attorneys with the American Civil Liberties Union and representatives from the Border Network for Human Rights said a lawsuit that seeks to end family separations at the border could hinge, in part, on the case of a woman detained in 2017. EL PASO — As the White House’s policy to separate immigrant parents from their children at the border continues to fan the flames of the national immigration debate, attorneys with the American Civil Liberties Union said Wednesday that the case of a woman detained in El Paso could be the catalyst for change. U.S. Attorney General Jeff Sessions announced last month his office was imposing a “zero tolerance” policy on people who enter the country illegally. The policy means that parents caught with their children will go to a detention facility while their children are placed elsewhere. He doubled down on that pledge this month in separate speeches. Lee Gelernt, an attorney with the American Civil Liberties Union, said it's not clear how many families have been affected since the policy was announced because “only the government” knows. But he said his case against the federal government would reverse that policy if a federal district judge in California grants a preliminary injunction against the practice. The Texas case involves a Brazilian referred to only as “Ms. C” in court documents. She arrived at the U.S.-Mexico border last summer and was approached by a federal border agent within seconds, court documents state. She explained she was applying for asylum, passed a credible fear interview, but was subsequently placed in custody after being prosecuted for illegal entry. Her minor son was sent to a facility for unaccompanied children in Chicago. She completed her 25-day criminal misdemeanor sentence in September and was sent to an immigration detention facility in El Paso, the filing states. The case was filed in February in San Diego because the original plaintiff in the case is a Congolese woman who was separated from her daughter. Gelernt said the case is now a class-action lawsuit that seeks to end the administration's policy and immediately reunite the separated children with their parents. It was argued on May 4, and it's unclear when a decision will be issued. During a news conference Wednesday at Las Americas Immigrant Advocacy Center in Central El Paso, Linda Rivas, the executive director and managing attorney of the center, said the recent fervor over the family separation proves what immigration attorneys in El Paso have known since last year: West Texas was host to the Trump Administration’s pilot program on ramped-up immigration enforcement. The court documents back up her point. Though the policy was officially announced in April, Ms. C’s case goes back to September of last year. Rivas also said the recent news about the estimated 1,500 unaccompanied children that were deemed “lost” by federal officials is a distraction that takes attention away from the issue of family separation. The New York Times was the first to report last month that the Department of Health and Human Services has lost track of about 1,500 unaccompanied immigrant minors had been placed with sponsors. It was subsequently reported that the children were not likely lost, but instead their sponsors may not have responded to phone calls from government officials tasked with keeping tabs on the children. 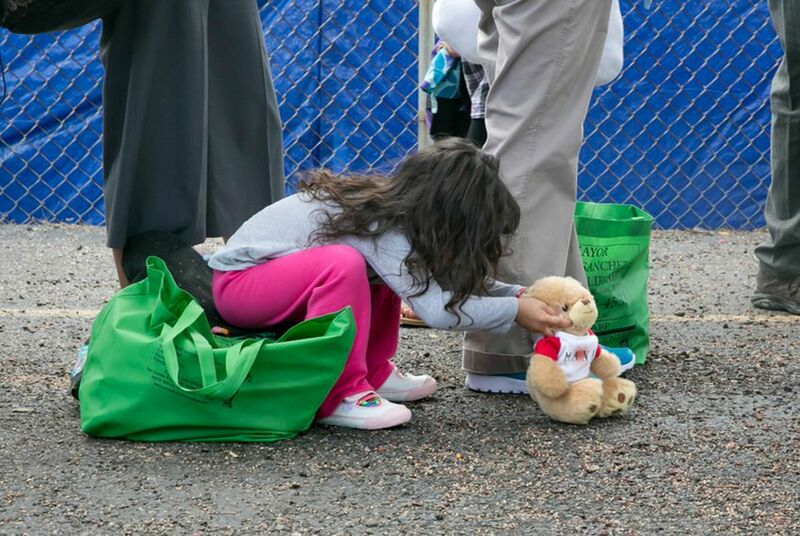 The children were also unaccompanied minors, which means they aren't part of the group of children who have been separated from their parents at the border. “It’s inaccurate, and I think it was a distraction. Whoever it came from, it is distracting from the real issues,” she said.